This website is a very good example for students of independent filmmaking as a well-done example of online marketing and promotion. I would like to know more about the ragtime style of piano-playing after seeing the various clips. I love what the left hand is doing with those amazing bass lines. For those who have not heard Uncle Pen, here is your chance! I’ve been trying to learn and play this tune for years. This video provides a helpful bit of instruction. I am learning to play the Banjo. I have two long-nick Plectrum Banjos, one for each tuning, a beautiful 5-string Banjo, and an Irish Tenor Banjo. I am happy and grateful to receive a 2017-19 Fulbright FLEX grant for doing research at the American University of Central Asia in Bishkek, Kyrgyz Republic (AUCA). My research project is develop and write an “indigenous” curriculum for higher education and creative practice at AUCA, in the nascent Department of TV, Cinema and Visual Arts. In doing my research for the development of a “local” curriculum in “TV, Cinema and Visual Arts” I am learning about the scope and nature of Kyrgyz cinema. Yes, there is a cinema culture in Bishkek, Kyrgyzstan. I am happy to learn about an established online presence for the film industry in Kyrgyz, with a nice website for marketing the country’s actors, production companies, directors and technical support professionals, and a wide range of exterior locations. .
As I move to have closer ties in Kyrgyzstan with scholars, filmmakers, and others, I am also looking for collaborative projects (video, film, photo, research, others) for production. I hope to explore and research in Bishkek and surrounding areas in Kyrgyzstan, with a base of operations in Bishkek. Folk Music? Pastoral or nomadic communities in transition? From what images I have seen there is astonishing beauty there and it looks like a healthy place in the mountains with hot and cold springs of vary types, famous for spas and healthy treatment. Kyrgyz Republic also boasts the largest stand in the world of walnut forestlands. 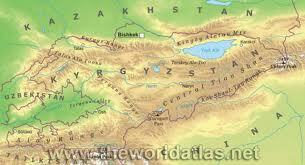 I am trying to develop an understanding of the history, geography, and cultural diversity in Kyrgyz Republic. Feel free to share your ideas with me. A lot of good things in the performance of this tune.